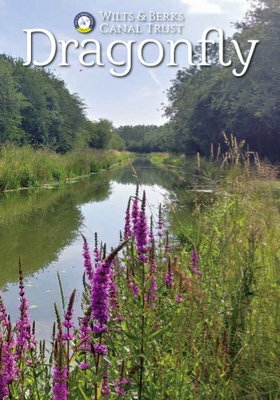 The new section is proving very popular for users of the towpath and the water... take an afternoon stroll when the towpath is shaded by the many mature trees and the hedge line and enjoy the tranquillity and the wildlife. We had a rare visitor in several tufted ducks who stopped over for a short time. And canoeists and paddleboarders have been using the waterway. 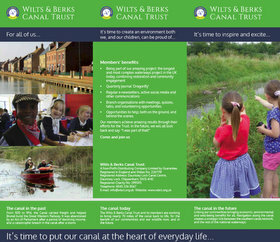 Maintenance continues here all year round to create and develop this very beautiful part of our canal. Dave and team are in the final stages of the refurbishment... and working on some lovely finishing touches: the Wilts & Berks canal frieze painted by Marilyn Trew in place above the small bar... just lovely! This was an article written for September issue of Wiltshire Life on how folk can enjoy the Wilts & Berks. The problem for the writer was selecting which 21 ways to write about! The Trust has many ways of raising funds for our project, both for restoration and for all the necessary activities that go to support restoration. We apply to many funders through a bidding process for both large and small amounts of funding. You may remember the successful bid to People’s Post Code Lottery for funding of nearly £100,000 for Pewsham, and the successful Aviva Community Fund bid for the Dauntsey Lock Canal Centre of £10,000. The Trust has been very successful since 2017 in this type of fundraising and we want to do more. We need a someone to research the funding bodies and identify those who are a good fit with our Trust, whose funding criteria matches with work that we do, whether that is our community engagement work, our environmental management work or our restoration work. 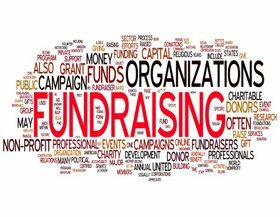 If you can help with a few hours a week, and you like researching using the internet and our existing online funding directories, please get in touch with Patricia Clements our Head of Fundraising at patricia.clements@wbct.org.uk. More work for the Trust... and not with boys’ toys! Lots and lots of work goes on behind the scenes at the Trust to allow our project to continue to make progress with all its aims. Publicity and communication inside and outside the Trust is key for letting everyone know what is happening: it also has a large impact on our funding, our support and our compliance with all the regulations we need to work to as a Charity. Recently Trust Communications hosted a successful Print and Publicity Workshop. Topics covered included Trust branding, the detail of good communication, the importance of images and in the corner stones of Trust Communication work: Audience, Message, Brevity and Planning. More workshops are planned over the next few months on a number of work areas. Please contact Patricia Clements if you are interested in learning more about how the Trust operates behind the scenes contact patricia.clements@wbct.org.uk. We all know how hot and dry it’s been this summer... so no surprise to find that the water levels at Kingshill and at Pewsham are too low to allow the boat trips to run for the time being. But we are not the only waterway suffering... earlier this year the canals in Venice had some problems... and many of our colleague Trusts have had to suspend their boat trips as well. Keep an eye on the Trust website and on Facebook to find out when our boat trips will be running again. Every week something has changed down at Wichelstowe. Have a look at our Facebook page for some amazing timelapse videos of progress. As ever challenges have had to be overcome. The latest is the extension of the canal past Waitrose is going to take longer than planned as the base of the canal will require work to improve the less than ideal ground conditions, ensuring that the canal doesn’t leak... sounds a good idea! The down side is that its looking likely that Santa trips will take place this year from Kingshill. Here it is... a first look at the new front cover and the new A4 format...the front cover photo will be different as we don’t want to spoil the surprise! Our Facebook page is a real winner for us in giving us a quick and effective way of communicating with all those interested in the happenings at the WBCT and along the canal... and receiving messages back from our supporters. We are up to 2,240 likes and have a monthly reach of well over 10k. Why not join in and like our page to make sure you get the latest news as it happens.